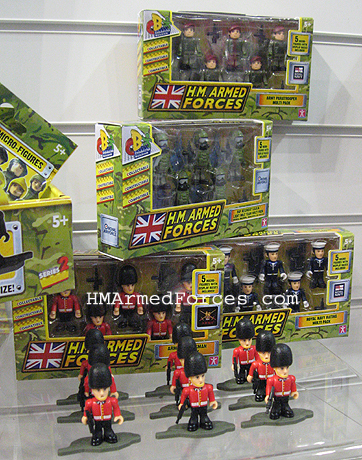 New for 2012 HMAF Series 3 Micro Figures feature 15 brand new releases. 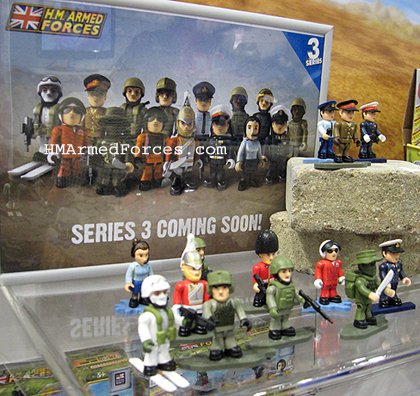 The Character Building Series 3 HMAF Micro Figures will include the first female figure, the RAF Predator Drone Remote Operator. Each figure will be sold in a blind bag to include a colour-coordinated figure stand, to reflect whether the figure is from the Army, Navy or Royal Air Force. Character will also continue to release army-building 5 packs of HMAF Micro figures, such as the Royal Navy Rating Multi Pack, Army Paratrooper Multi Pack, RAF Regiment C.B.R.N. Light Role Team Multi Pack, and the Army Guardsman Multi Pack.